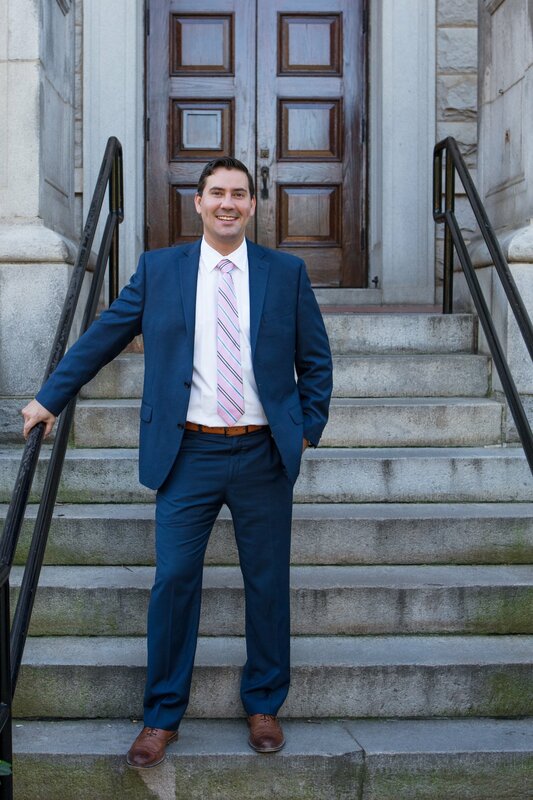 Attorney Joseph A. Conoscienti is the founding partner at Conoscienti & Ledbetter, LLC and specializes in criminal law but likewise has experience in general civil trial practice. Mr. Conoscienti specializes in criminal law but likewise has experience in general civil trial practice. After graduating High School, Joseph A. Conoscienti joined the United States Air Force where he achieved the rank of Sergeant. After receiving an honorable discharge in 1968, Mr. Conoscienti attended Montclair State University in Montclair, New Jersey where he received a Bachelor of Arts. 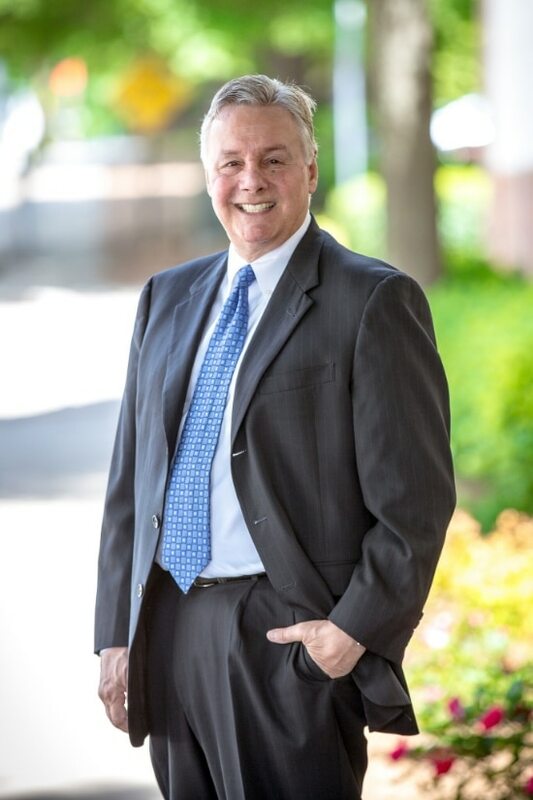 After finishing his undergraduate degree, Mr. Conoscienti attended the Potomac School of Law, where he received Juris Doctorate degree in 1980. Joseph was admitted to the Georgia Bar in 1981. In January 2013, Mr. Conoscienti joined forces with J. Blake Ledbetter forming Conoscienti & Ledbetter, LLC. Joseph Conoscienti is licensed to practice in the Georgia State and Superior Courts, the Georgia Court of Appeals, the Georgia Supreme Court, the United Sates District Court for the Northern District of Georgia and the 11th Circuit United States Court of Appeals. Mr. Conoscienti is a part-time Associate Judge for the Municipality of Avonndale Estates, Georgia. Mr. Cononscienti was born in New Jersey and moved to Atlanta in 1981 after graduating law school. Joseph Conoscienti currently lives in Oxford, Georgia with his wife Nicola Buckingham. They both share a love for horses and own a horse farm located in Conyers, Georgia. Drug Distribution and Possession, Aggravated Assault, Stalking, Robbery/Burglary, Vehicular Homicide, Homicide, White Collar Crimes. Driving Under the Influence, Drug Possession, Theft, Burglary and Shoplifting, Juvenile Crimes, Assault and Battery, Traffic Violations, Probation Violations. Drug Possession, Drug Distribution, Drug Trafficking, Asset Forfeiture. Simple Assault, Assault with a Deadly Weapon, Assault and Battery. 1st DUI, 2nd DUI, 3rd DUI, 4th DUI, CDL Issues. Driving Without a License, Driving Without Insurance, Leaving the Scene of an Accident, Reckless Driving, Running a Red Light and More. 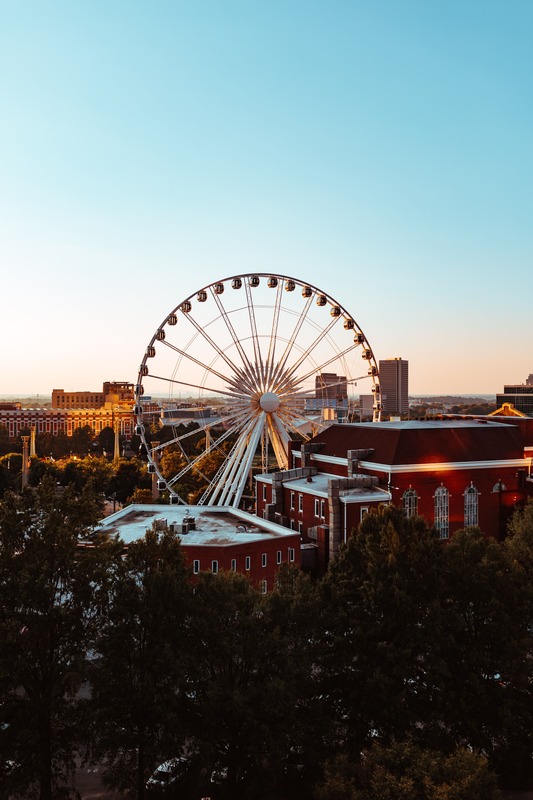 The team at Conoscienti & Ledbetter possess over 43 years of combined legal experience in both criminal and civil matters in the State of Georgia. They rely on principles of honesty, integrity, efficiency and compassion in their pursuit of justice for you. 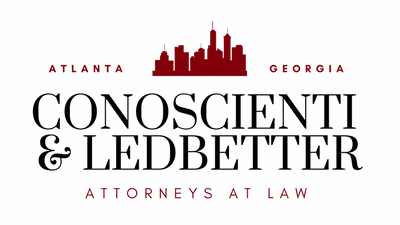 Conoscienti & Ledbetter is a unique small firm, capable of provided excellent representation on both criminal and civil cases. With each attorney bringing a wealth of experience to their respective practice focus, you gain well-rounded legal representation. 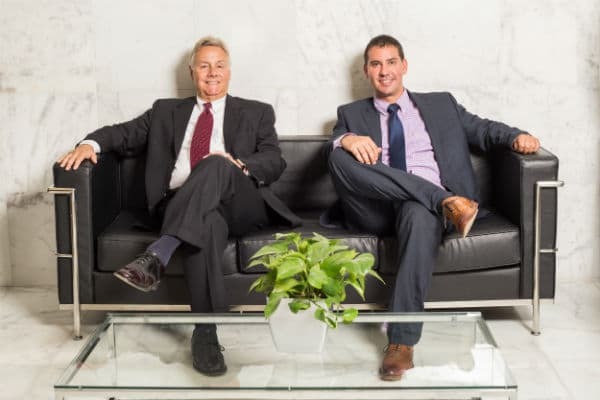 The experienced and passionate attorneys at Conoscienti & Ledbetter, LLC represent both individuals and businesses and. As a small firm, your case and every case is important to us. We are dedicated to achieving the best possible outcome for you by providing smart, individually-tailored legal strategies.